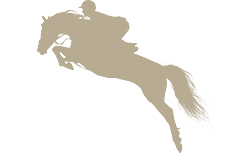 This holiday season, delight your loved ones by helping fund research for sport horses. 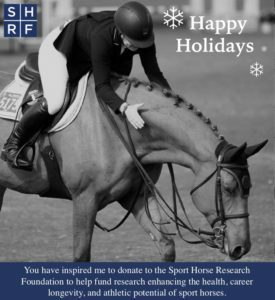 Make a donation to the Sport Horse Research Foundation, and send a holiday ecard to a friend or family member—or to a few friends and relatives—to announce your gift. To send an ecard announcing your gift, provide desired recipients email and any personalized ecard message under the “ADD COMMENT” section when making a donation. SHRF will send will send ecards to as many desired recipients as you request announcing your gift.